Call the main number and Nik will send your local engineer, or the quickest who can respond in an emergency. When you call Nik will set up a visit at a time to suit you. Depending on your needs you will get a digital test, or survey and our engineer will provide impartial advice about your best options and a quote on your choice. All work undertaken and equipment supplied is fully guaranteed for 12months. Our company vehicles will support you and all customers across the West Midlands, Warwickshire and Worcestershire. Got a TV emergency and need to call-out someone today? 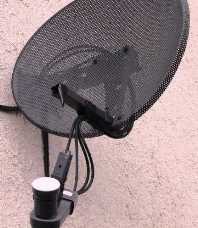 Lost TV channels? Poor picture quality? Pixelated or freezing TV channels? Digital Direct Aerials are there for you, in fact in most cases we should be able to get someone with you within hours of your call*. 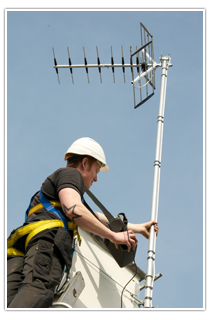 Our installers will offer a digital test or survey to assess your needs. or accept a more complex quote, that will be the price you will pay. 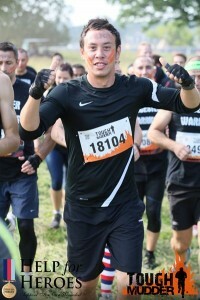 Nik has challenged the team to join him in the Tough Mudder Midlands run over mad obstacles this year. They are also collecting money for Help for Heroes. Learn more about the challenge on our Blog page with pictures and details. You can donate at our Just Giving page. Just click on the button below. Digital Direct are a local family business based on getting it right first time and not letting you down. Digital Direct are approved Registered digital installers RDI and approved ‘Sky Partners’. Digital Direct has built up a highly regarded reputation based on a friendly and professional installation and repair service. Read our Trustpilot Reviews, below to get our customer’s view or follow the link to see a ‘word cloud’ of the most common phrases that are used by our customers. Secure Connections to Protect your Privacy. We welcome the opportunity to give you expert advice and are friendly, reliable and approachable. We are confident that with our wealth of knowledge and skilled installers we will not let you down so please feel free to contact us today.